White cats are really beautiful, and for this reason they tend to be extremely sought after. 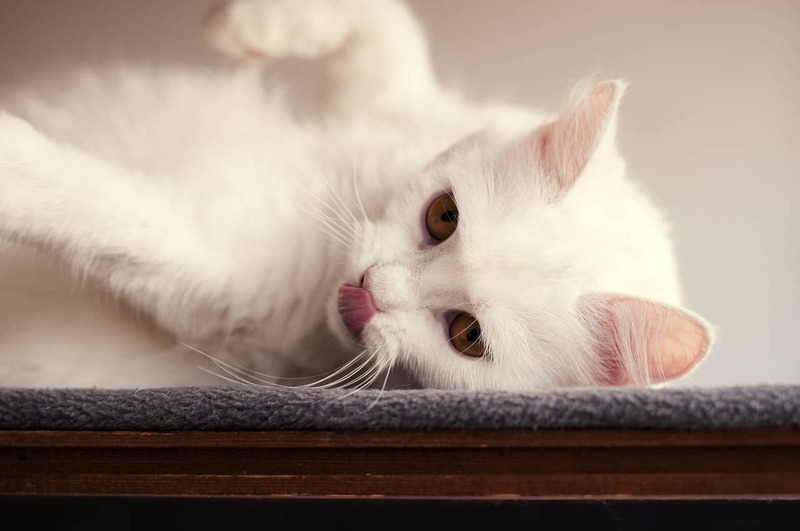 Just how much do you know about white cat breeds? Check out some of these less known facts and test your knowledge when it comes to them. Chances are you will learn something that you didn’t already know about white cats! 1 – White cats can be born either to an all white cat breed, such as the Angora breed, or they can be simply born all white into another breed. All white cat breeds are rare, as all cats born into this breed are typically white in color no matter what. Without knowing the particular breed of your cat, you may not know where their white coat came from. 2 – Not all white cats are completely white. Some of them, such as the White Turkish Van, will have colored markings on their tail, ears, paws or face. Sometimes the markings don’t show up until they are a little older, and sometimes they may be so light you don’t notice. You may get a kitten that appears all white, just to find out a few months down the road that they have some vibrant markings. 3 – Many white cats simply lack pigmentation to give their fur color. What they are lacking in really makes them beautiful. White cats are one of the most sought-after breed among most cat breeds, because it isn’t often that you see a solid white cat. 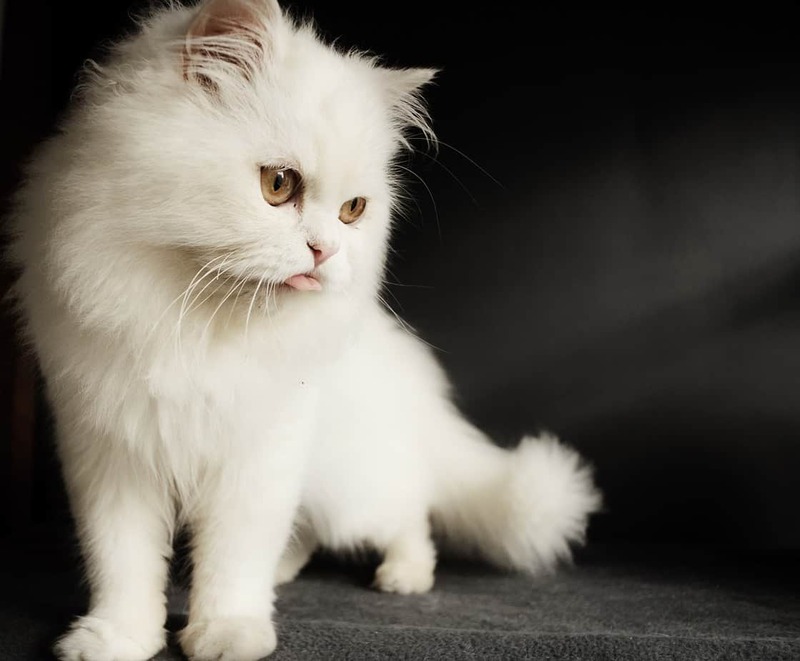 Fluffy white cats are even more sought after, because they are just so lustrous and pretty. 4 – White kittens tend to have various different eye colors, but blue is one of the most common. If your white cat has two different colored eyes, he may actually be deaf. This isn’t always the case though. Do some hearing tests with your cat to see if he can hear you. 5 – There are a lot of different white short hair breeds, and white long hair breeds. Some of the breeds may even tend to have a curly coat! There is definitely no shortage when it comes to types of white hair cats. 6 – White Persian cats have a flat, smashed looking face. While it is a really cute feature of theirs, it can actually lead to some health concerns. They often have difficulties breathing and suffer from allergies. It also causes them to have a higher mortality rate. 7 – Grooming a white cat can be a challenge, especially if they have long hair. Keeping them from getting hairballs can be difficult as well, since cats spend so much time grooming themselves. Plus, keeping a white cat clean can be a difficult feat in and of itself. This is especially true if they spend time outdoors. 8 – Many white cats are born deaf. This is thought to have some correlation to the gene that causes them to be white, as it is often times the same gene that causes them to be deaf. This is something to discuss with your veterinarian. 9 – White cats and albino cats are two different things. Many cats can be born with a white coat, but albino cats are typically very rare. If a cat is albino, they will usually have a reddish tint to their eyes. They may also have other health concerns if they are albino, so this is something to be aware of. 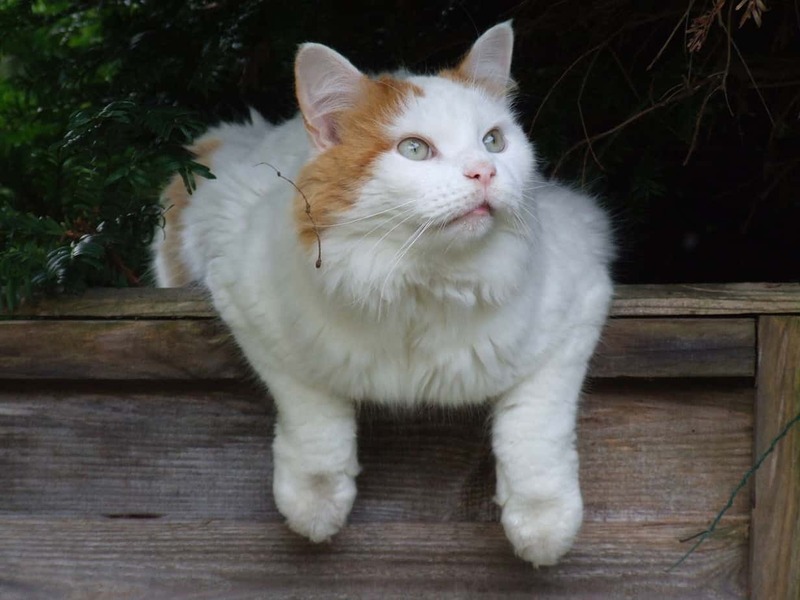 10 – The Turkish Van is another breed that commonly has white cats. These cats actually love the water. You hear that most cats hate water with a passion, but these little ones love to swim and play in the water. They originated from the Lake Van region of Turkey, and have a fluffy coat, sometimes white in color. 11 – The Turkish Angora breed is another breed that produces fluffy white cats. They are actually originated from the mountains in Turkey, where the winter months tend to be brutally cold. They have thick coats to protect them, and are usually white in color to help them blend in with snowy weather conditions and stay protected in the wild. 12 – A family friendly white cat breed is the Foreign White Oriental breed. They tend to be very affectionate and vocal, and they also tend to get along well with dogs. They can be a bit on the pricey side, especially since they are all white. 13 – The white gene is actually recessive, so an all white cat can have kittens who have different colors on their coat. This is because a dominant gene can cause the all white gene to skip over a generation. This is also how colored cats can have an all white cat in their litter as well. It really is pretty unpredictable, but in most cases an all white kitten will have at least one parent who is all white. 14 – Different genes can determine whether or not your cat is white, or mostly white. 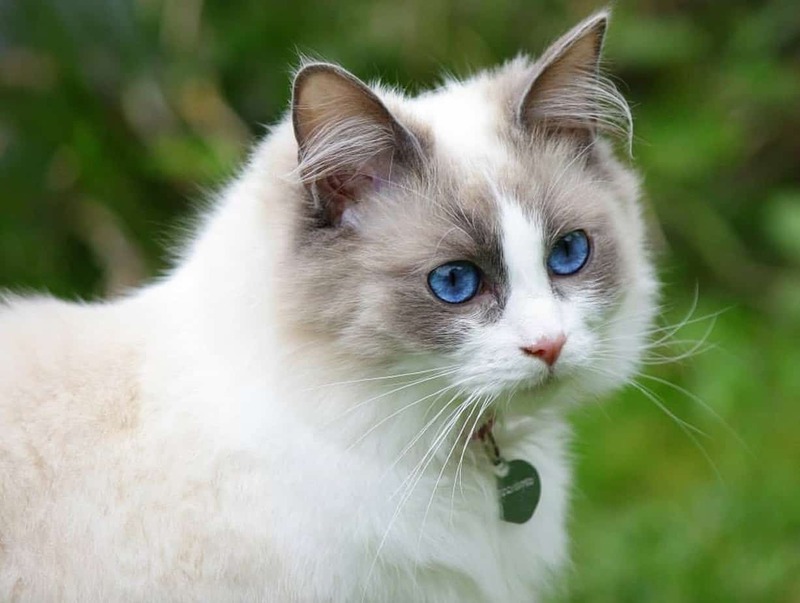 These genes include the epistatic gene, which causes a cat to be all white; the piebald gene, which causes them to have white patches; and the albino gene, which causes them to simply lack pigmentation. These genes just give them each a unique look. 15 – White cat breeds are actually more prone to developing skin cancer. This is because they lack any sort of pigmentation that can be protective for their skin. The areas that are most common to skin cancer include their facial features. Keep an eye on any sort of crusty sores that appear around your cat’s face, or in other areas in which the fur is not as thick. As you can see, white cats are really unique. How much of this did you actually know already about white cats? We are sure you learned at least a few new and unique facts about them. Do you have other facts that you would like to share about white cat breeds? Drop a comment below and share it with all of us! Which Cat Breed is Right for Me?